The Department of State Services which arrested the Director General of the Peoples Democratic Party campaign, Ben Bako on Monday has revealed the reason behind the arrest. DSS stated that the PDP man was arrested because of a recent inciting statement credited to him. The security operatives revealed that if the statement is not attended to it is capable of leading to a “complete breakdown of law and order in the state and beyond”. PDP which reacted to the arrest claimed that his arrest was part of the plan of the All Progressives Congress to oppress other opposition. 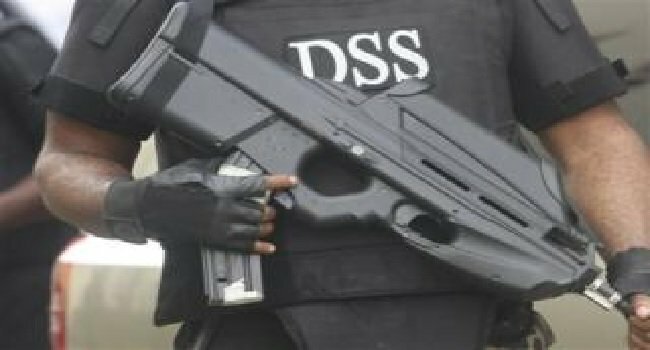 DSS in its statement stated that the Bako was arrested in order for him to “shed more light on his inciting statement. “other people with similar tendencies are also being investigated and would equally face the same fate of found culpable. “On the 9th February, 2019, this service invited Mr Ben. Bako to shed more light on his inciting statement and call for violence in the state. Earlier on the 7th February 2019 Bako had addressed a rally at Kafanchan, Jema’a local government area of Kaduna state.